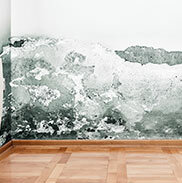 When your home or commercial property is under attack by water, fire, mold, or odors, you can count on KICK Restoration to be on your side. 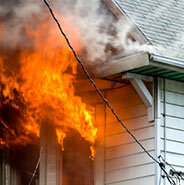 We’ll act fast to minimize the damage and restore your property. 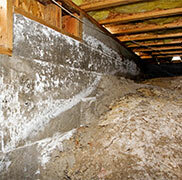 When it comes to residential and commercial emergency restoration, KICK Restoration of Marietta, GA is there for you. We pride ourselves on our sharp attention to detail and personalized customer satisfaction. We always make our customers the #1 priority in order to accommodate their restoration requirements. Our work comes with a 100% satisfaction guarantee. If you’re not totally happy with our finished work, we will return to iron out the kinks until you’re happy. We also provide every customer with a 30-day service warranty on all the jobs we do. I had 10 year old white carpet that had been destroyed over the years by my dog, who has a bile disorder and throws up all the time. My carpet was beyond nasty. I had the “restoration” cleaning done by KICK Restoration – and I can’ t say enough good things. I didn’t have high hopes considering how nasty my carpet was, so even a small result would have made me happy. I was shocked by how clean it was when they finished!! Between pet stains, food stains, and everyday foot traffic – my carpet was a disaster. It now looks brand new – no joke! I cannot believe how clean it is! 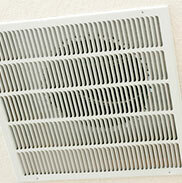 The technicians were amazing- very polite, explained everything they would be doing, and were very professional. Highly recommend!! As a former property manager, I can appreciate the level of knowledge and service provided by Martrez and Will. They were very informative while laying out my options based on some of the stains I had. Cool guys and got the job done quickly and definitely notice the difference! I liked the price as well! Definitely recommend them to anyone! By far these guys were amazing compared to the last company I used. I experienced a 2nd flood and decided to search for a company on my own. The best decision I ever made…night & day service compared to the last company that I know was working for my insurance company and not me! Thank you guys once again! What an awesome job done by KICK Restoration! The guys were professional and very informative. The brought life back to our carpet l which I thought we should have gotten rid of! This was my first experience with KICK. It was awesome. They were very professional and got the job done fast. I will definitely use them again. 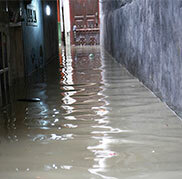 The equipment they used for water damage repair were amazing and did a great job – no warping at all. Their crew was excellent. They were courteous and professional. They were informative, knowledgeable and I would definitely recommend them to any of my friends. They were on time and did an amazing job! My technician was courteous and detailed. Between kids spilling soda and my dog, my carpet was nasty. It now looks almost new again! The technician paid attention to all the spots and made sure the equipment did not mar my furniture or walls. I highly recommend KICK! Emergency? Call us at 678-653-5425 for immediate help, 24/7. KICK Restoration is a locally owned and operated disaster restoration and carpet cleaning company. We are located in Marietta, GA and provide 24/7 emergency service in Cobb, Paulding, and Douglas counties. © 2019 KICK Restoration. All Rights Reserved.